I know these exist because I know of two guys that have them, but they’re unicorns. Can barely find a picture, let alone a part number or somewhere that sells them. On the hunt for all clear, OEM style tails like this, either for 99-07 or 08-16. Idk if they ever made them for the later style lights, however. Still looking for these. I know california is hoarding all of them. You see them on your local craigslist or fb market place, I hope you’ll remember this thread. Thanks. 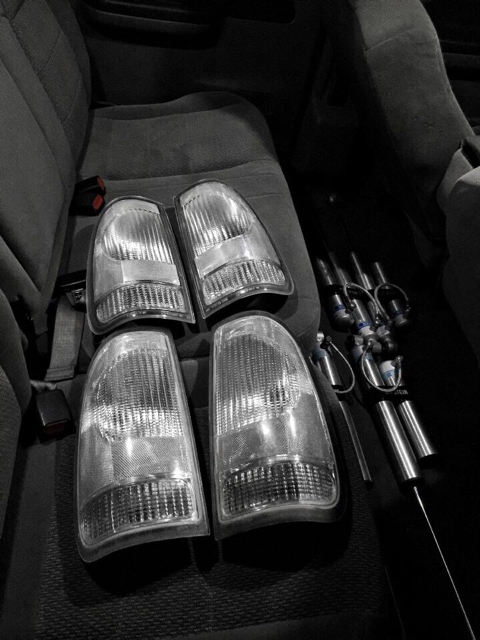 I know https://cpaddict.com/shop/ is selling the clear obs taillights that was sold years ago then disappeared and now there the only ones that has them . u might hit them up at cpaddict just to see what they say or could come up with . I shot them an email, it can't hurt. I have a few friends all looking for some and only one guy has found one set in almost year. The nbs gm ones pop up fairly regularly, I can find at least one set pretty much at any time, and it seems like obs ford and chevy ones are everywhere.